Past and present students and staff of the Institute of Parasitology, and the Faculty of Agricultural and Environmental Sciences at McGill University are deeply saddened by the passing, on March 4, 2017, of our dear colleague, teacher and friend Professor Paula Ribeiro. Paula had been seriously ill for over a year, but she nevertheless strove to keep involved with her students, her research on the molecular and neurobiology of Schistosoma mansoni and all of the academic affairs in which she was engaged at the Institute of Parasitology. Paula spent some of her childhood years in Angola, where her family was stationed toward the end of the Portuguese colonial period. It was likely that her first hand exposure to people suffering from parasitic and other infectious diseases, during that time, led her into a life devoted to studying and trying to improve treatment options for human parasitic diseases. In particular, she sought to find new therapeutic targets and drugs which could control schistosomiasis, a disease which still affects at least 200 million people in the world and is estimated to kill up to 280,000 people per year. Dr Ribeiro joined McGill in 1994 as a Professor, after completing postdoctoral research on neurochemistry at the National Institutes of Health (NIH) in Bethesda, MD, USA, following PhD studies at York University in Toronto, which she completed in 1988. She was an excellent teacher and a meticulous and highly competent researcher. She developed and taught a highly regarded molecular biology laboratory course, Biotechnology Laboratory Techniques, in the Graduate Certificate in Biotechnology and the Master of Science in Biotechnology programs. As well, she taught undergraduate courses in Biochemistry and Cellular Biology and other topics. She was a thoughtful and engaged teacher who displayed a passion for learning that was reflected in the outstanding evaluations she received from her students. Students particularly prized her clarity in explaining concepts and techniques. She was a devoted mentor to about 20 PhD and MSc students and 5 postdoctoral fellows who spent time in her laboratory. Her graduate students learnt from her the importance of thoroughly evaluating each hypothesis and new technique, of adequate controls and replication of data and, especially, the importance of having a critical approach to data evaluation. At the same time as being meticulously thorough in her research, she introduced many techniques and approaches to her lab and her students, which at the time were cutting edge, such as codon optimization for heterologous expression, de-orphanized many novel receptors, and exquisitely employed immunofluorescent confocal microscopy to identify the expression sites and likely functions of these novel receptors. Dr Ribeiro also served as a mentor to many graduate teaching assistants who worked with her in delivering the Biotechnology Laboratory Techniques course. Professor Ribeiro was ever eager to contribute to the training of new generations of scientists and provided countless students with sage advice on experimental design and data analysis. She was a kind and generous person whose giving nature extended to the mentoring of junior faculty members in the Institute and within the Faculty of Agricultural and Environmental Sciences who join us in mourning her passing. Paula was truly a careful and thoughtful researcher who conducted cutting-edge studies on the neurobiology of flatworms, including parasitic schistosomes. Her research was always thorough, meticulously executed and at the leading edge of her field. She published her work in leading journals including Journal of Biological Sciences, Journal of Neurobiology, Developmental Neurobiology, PLoS Pathogens, PLoS Neglected Tropical Diseases, PLoS ONE, FASEB Journal, American Journal of Tropical Medicine and Hygiene, and International Journal of Parasitology. Professor Ribeiro served McGill University and the Faculty of Agricultural and Environmental Sciences in many capacities, always with competence, zest, dedication and, above all, integrity. She was Chair of the Faculty Library Committee, and served on the Faculty Curriculum and Course Revision Committee and for many years on the Tenure Committee of the Faculty of Medicine. At the Institute of Parasitology, she organized the seminar program for many years, including the fall 2016 semester when she was already very ill. She chaired the Institute’s Student Scholarships and Awards Committee and the Graduate Program Curriculum Committee. 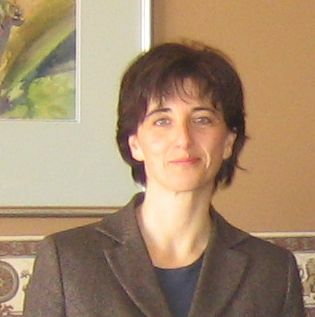 Dr Ribeiro gave her time freely to many scientific tasks, including being a member of an NSERC Grant Selection Committee for many years, served as a Panel member on a NIH Study Section, as an Editorial member of the Canadian Journal of Zoology, and as a reviewer for many parasitological and neurobiology journals. As a colleague, Paula was a great human being, interested in the welfare of others, in justice, in lifting people out of poverty and ill health, in politics and world affairs. She had a strong sense of right and wrong and equity, as well as a keen sense of humour. She was stimulating to be around, not only as an academic but also as an engaged Canadian who had immense pride in the leader ship role her adopted country should play on the global stage. Paula is survived by her devoted husband, Dr Gray Stirling who was constantly supportive and shared with her a love of teaching and science, and by her parents and extended family. We will remember Paula Ribeiro as someone who was unselfish, tireless, thorough in everything she did, and devoted to trying to improve human health. Paula truly lived a life that testified to her sense of a larger social obligation to make the world a better place.